Alex previously worked in the stockbroking industry in Australia and the UK, where she lived for 10 years. She has completed a diploma in event management and wedding planning . She currently runs Muscat Events, a business she set up 2 years ago which works well with her position as a Chiropractor Assistant. Being a local Sanctuary Lakes resident and a single mother to 2 children she understands how important it is to lead a healthy life. She enjoys personal training and netball and had coached for two years at Point Cook Netball Club. She loves entertaining and traveling the world. Stacey moved to Australia in 2010 from South Africa and completed her schooling here. She is currently working toward a degree in Occupational Therapy. 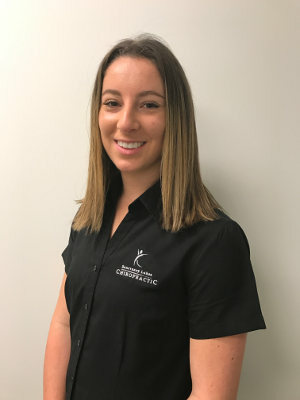 She really enjoys the team environment at Sanctuary Lakes chiropractic and working with a team of health professionals and other individuals who have the same interests. She loves spending time with her family (this includes her dogs of course!) and she also enjoys playing hockey which she has done for over 10 years. Kellie is originally from Perth and loves the sunshine and the ocean. She is now based in Melbourne and is currently studying Nutritional Medicine. She is looking forward to educating people about healthy living and has a big interest in children’s nutrition. Kellie’s previous background is in the field of event coordinating and medical reception. Kellie’s favorite thing to do is spending time with loved ones and her cheeky puppy. She also loves traveling, cooking, exploring new places and reading. 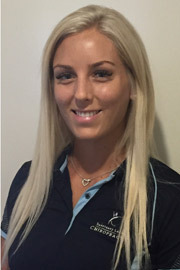 Stef is a qualified remedial massage therapist who completed her Diploma at the Australian College of Massage. 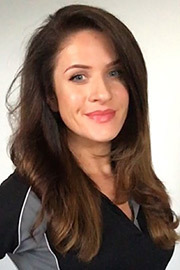 She specialises in a variety of dfferent techniques through myofascial release, trigger point therapy, relaxation and sports massage to ensure the bestpossible outcome for all her patients. 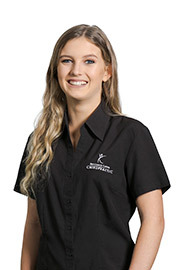 Stef is also undergoing her studies in Bachelor of Health Science/Bachelor of Applied Science (Chiropractic) at RMITUniversity and has a thorough understanding of the importance in taking a holistic approach to achieve the best possible health care and the wonderful results it has on the human body. Stef aims to help people strive towards their goals and reach optimal health, and believes Remedial massage andChiropractic care is a great and extremely effective way ofachieving this. She is available for appointments on Fridays and Saturdays. Besmir has been in health industry for 9 years. After being a paramedic, he decided to pursue remedial massage therapy to continue his passion for healing and helping people improve their lifestyle. 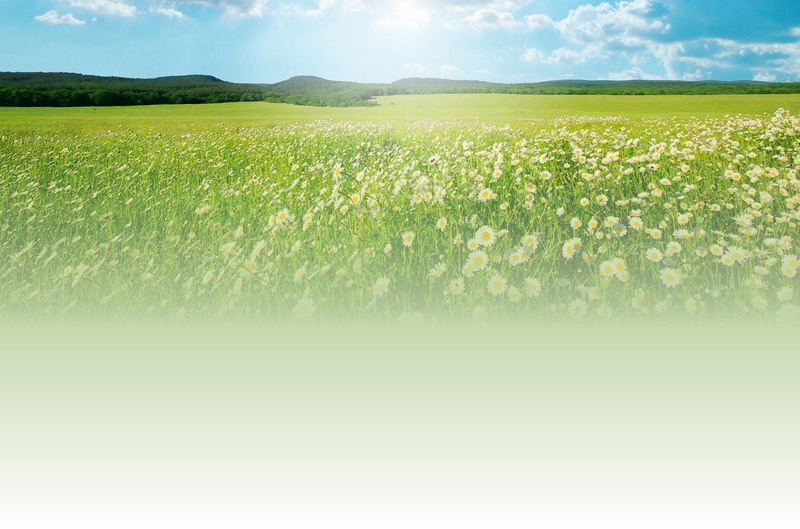 His extensive medical background helps him better understand and meet peoples needs. 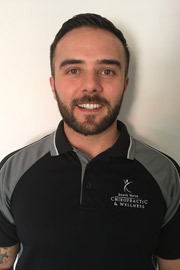 In the last three years of working as a remedial massage therapist he has worked with different health professionals which has helped him further advance his knowledge and experience in approaching people’s health. He can also speak fluent Italian and Albanian, and in his free time he loves to engage in extreme sports and listen to music. 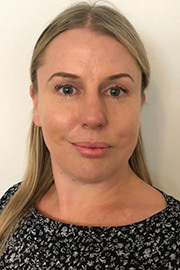 Ilma has aDiploma in Remedial Massage Therapy and has over 10 years experience working inClinical, Rehabilitative & Sporting Environments including Hospitals,Chiropractic, Physiotherapy and Naturopathic practices along with local footyclubs as well as elite teams such Richmond Football Club. She is available for appointments Tuesday and Thursday. Ally is a Myotherapist with 10 years experience as a remedial massage therapist. Her main objective as a Myotherapist is to listen, assess and treat accordingly to your muscular, fascial and neurological pain and/or dysfunction throughly and most importantly individually. She enjoys working with chronic pain sufferers, implementing treatment plans, postural and lifestyle assessments and after care programs. Outside of her professional life she enjoys spending time with her family, keeping fit and active, eating a nutrient rich vegetarian diet and enjoying mindfulness practice through movement and breath. She believes well-being and a pain free life is a journey and that everyday is an opportunity to create positive change within the body whether it be through treatment, exercise, rehabilitation, stress management or nutrition. Give our Point Cook chiropractic office a call to schedule an appointment today!